Last week, we shared a couple of completed weekly spreads from The Happy Planners™ of different members of our Design Team. Thursday we shared a green-themed weekly spread as an example of how I use my Happy Planner as a mini project life. Friday we shared a weekly spread by Design Team member Theresa Doan, in which she combined lists/to-dos/photos and worked in a lot of white space. Today, we're sharing a photoless (!!!) weekly spread by mambi Design Team member Stephanie Buice, and can we just say: we love what this girl does with product! 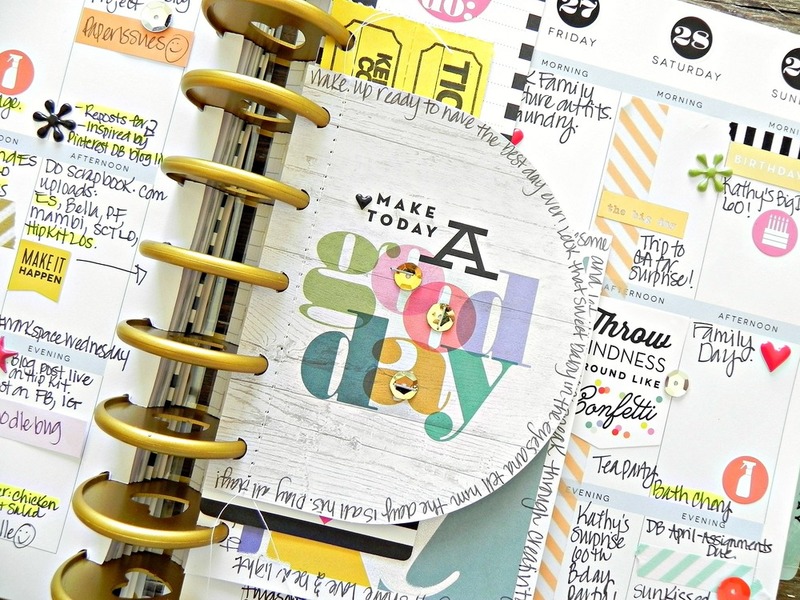 "This was a crazy awesome busy week, and I am so glad mambi came to my rescue with The Happy Planner™! I would seriously forget half of this stuff if it wasn't written down, so I'm sure all of the people in my life are just as happy as I am! For this week, I used a bunch of the page flags, especially for packages I was waiting to be delivered. As the packages would arrived, I would take the flags from my margin of my page and place them on the day they arrived. Such a time saver! I played with the stickers and the little inserts more this week and enjoy the extra bit of fun and color they added. I've already started planning out my next week. I can't wait to make it as pretty as this one!"